User Interface Web-based user interface supports English, Traditional Chinese, Simplied Chinese, Japanese, French, German, Italian, Spanish, Russian. 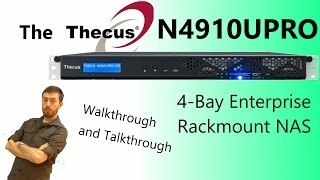 If you buy this Thecus Rackmount 4-Bay NAS and hard drives we do free build and test for the unit and hard drives. So you can use this device straight out of the box. All free of charge in N4910UPRO-R price.